Everyone might have a different understanding of the ways that can make their websites click, but when it comes to the results, the yardstick is more or less identical. On the Internet, it is easier to know if your approach to make your website’s audience grow is bringing in the required results. But despite the fact, there is no dearth of website administrators who make the typical mistakes that tie them up in knotty ways and not let them grow. It is important to identify the right ways that can fuel your website to grow at a brisk rate. Once you include these in your stratagem, it becomes much easier for you to achieve the objectives you have been eyeing. 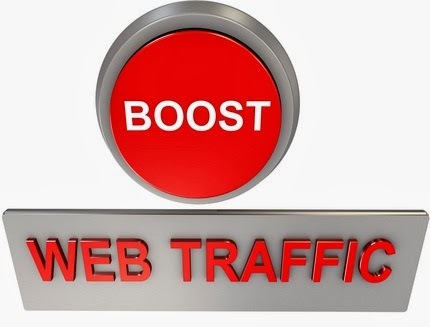 Below you will find the Top Ten (10) Best Tips to Drive Massive Traffic to Your Website or Blog for Free. When you are posting content on your website, you have to know who you are writing for. If your blog is revolving around health tips, then keeping the blog up to the point is absolutely unnecessary, your audience is not willing to read philosophy. And I am not necessarily talking about plagiarism here. Keeping your content unique goes beyond that. When you are writing them something, you need to ensure it is not framed in a manner that is too clichéd and mainstream. Granted, the health blog needs a lot of seriousness. But, injecting some medical humor every once in a while will make the difference and separate your site from the fluff and crowd. While you do not skimp on the useful information you are offering, giving a reason to your audience to let their funny bone be tickled will lead to good results. It is the most important part of your social media marketing strategy. Create a Facebook page for your site that helps you gain some followers who can stay updated with your content, and also posts around your brand that not necessarily have to be long articles. Talking of keeping your audience updated, adding a subscriber’s button on the site will help you keep your visitors hooked to your website. Once the visitors enter their email addresses into the subscriber button, every time you post something, it will be delivered to their inbox. While there may have been a lot of panic around the guest post practice, the truth is that if you write guest posts for websites that are even remotely linked to yours, and if they have good PR, you won’t be penalized and you would rather enjoy some good PR once Google updates it. Content seeding is one of the most important ways to create conversations around your blog. Post comments around the Blogging verse and include URLs to your site, and you are helping more people know of your existence. Not only that boosts your website’s traffic, but also creates conversations – particularly when you seed content in the forums. Article submission also has its sets of benefits in regards to the page rank of your website. Publish quality post on article sites and that is going to help you in the long run. The widgets on the website can be used to display your most popular posts and editor’s picks. It all boils down to how your website appeals to the visitor by its design. And inspiring design will bring in more numbers. Garnering good quality web traffic is a fine mix of all the points. Stir them fine.